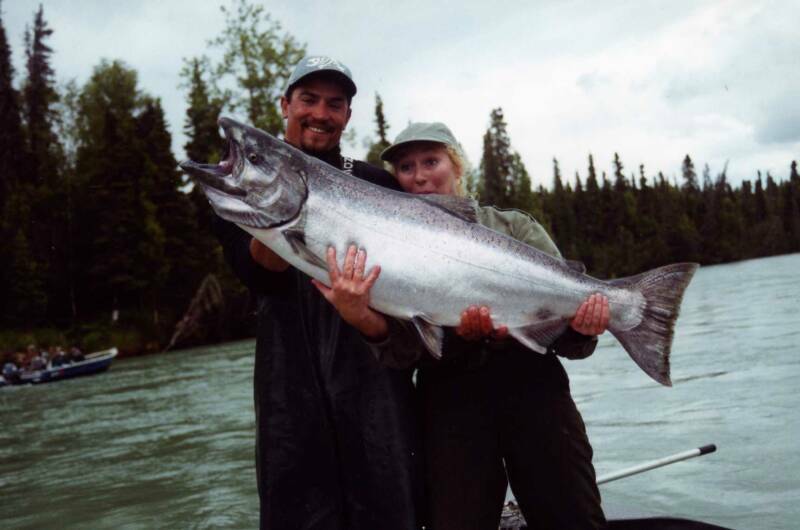 Welcome to Alaska's Homestead Trophy Lodge located in South Central Alaska on the Beautiful Kenai Peninsula! Long known for it's unmatched World Class Fishing, incredible beauty, and tremendous variety of wildlife! We are situated on a very unique 160 acre wilderness setting on Beaver Creek, and just minutes from Salmon Fishing on the world famous Kenai River. Our experienced resident guides at Kenai Peninsula Fishing are Fishing fanatics and are definitely some of the best Fisherman on the Kenai Peninsula. 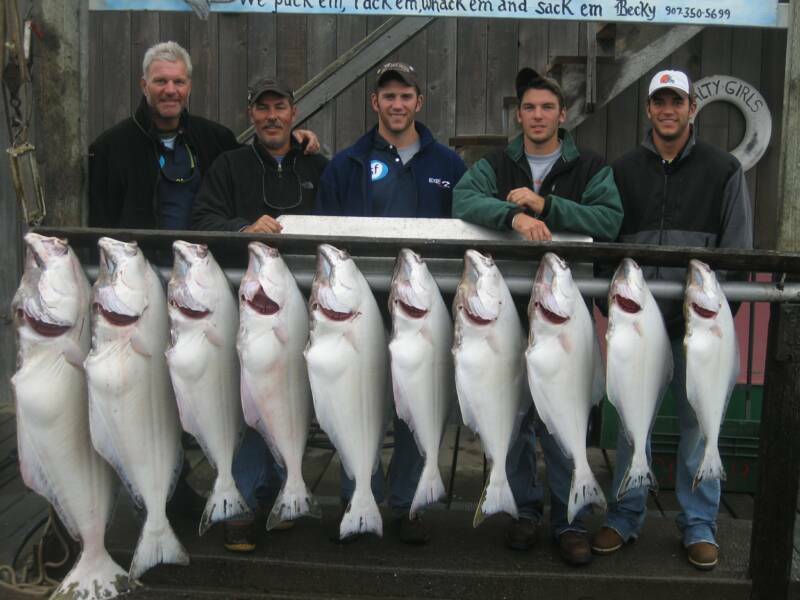 If you have just surfed in looking for the best of Alaska's Lodging, Salmon, Trout, and Halibut Fishing, then you have come to the right place. 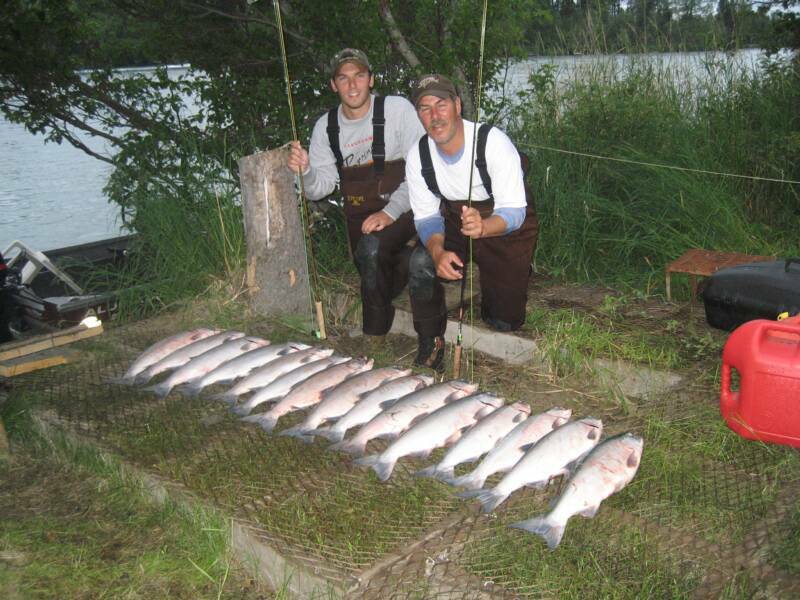 The Homestead Trophy Lodge is your best choice for the finest in Lodging & Alaska Fishing Adventures! 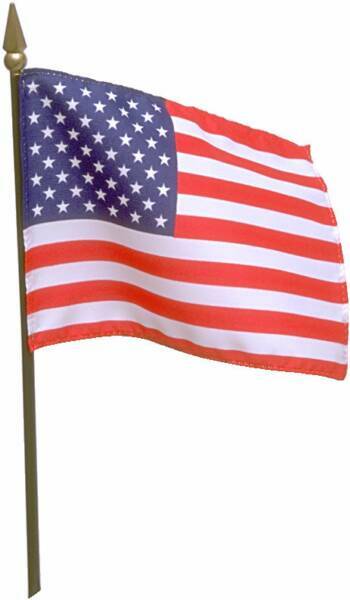 WE ARE NOT A B&B... WE OFFER YOU MUCH MORE THAN JUST A ROOM. YOU WILL HAVE THE LODGE OF YOUR CHOICE FOR YOUR PARTY'S USE ONLY. We are set up with FULL kitchens, stocked with all of the FOOD imaginable to prepare a great breakfast. There are also barbecue facilities on the front deck set up for you to grill up your up your catch of the day. Everyone love's are seafood barbecues. We are well known for cooking up our homestead seafood feasts. 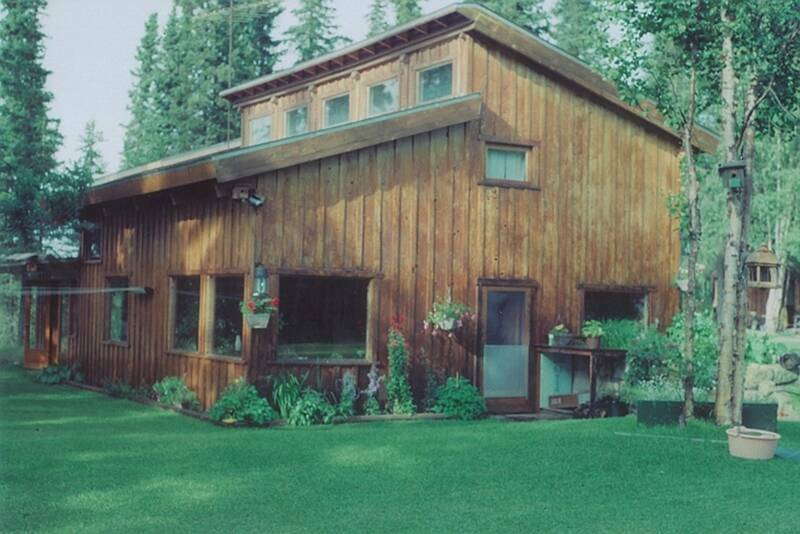 Enjoy a unique, rustic Alaskan Homestead nestled on 160 wooded acres on Beaver Creek, the lowest tributary of the Kenai River. The Homestead's North 40 acres borders the Kenai National Wildlife Refuge. Alaska is a vast land and those that live here or visit, seek its special places. Our beautiful wilderness setting offers all of the warmth of an Alaskan homestead for you to enjoy. Our Homestead was established in 1946 by Dave & Eloise Spenser. Dave was the first Fish & Wildlife officer on the Kenai Peninsula. Mr. Spenser came to Alaska after WW II to survey the Kenai National Wildlife Refuge. Homesteading the land on the Beaver Creek drainage which is adjoining the Kenai Wildlife Refuge places the homestead with perfect access to the wilderness. The Homestead was built from Spruce logs harvested from the surrounding Chugach National Forest, and is a Kenai Peninsula landmark. Cutting, hauling and hand-milling the logs in true pioneer fashion. Dave was quite the craftsman designing and handcrafting The Homestead into a true work of art. The Kenai Peninsula offers more Fishing and outdoor recreation opportunities than ANY other area in Alaska. An Alaskan vacation would be incomplete with out exploring the Kenai. Fishing with Kenai Peninsula Fishing & staying at our Homestead Trophy Lodge will let you experience the best in an Alaskan vacation. 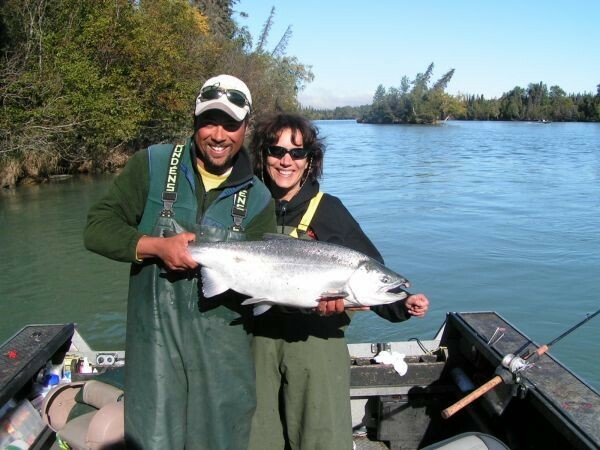 No other river in Alaska provides as much Fishing thrills and excitement as the Kenai River. It Is one of the most productive ecosystems in all of Alaska. Make Sure You Order Your FREE Kenai Peninsula Vacation Guides for yourself and all of your friends From this link.